There are a lot of benefits to be had with cork flooring. It's springy, which can add to your comfort while standing or walking on the surface. It also tends to hold warmth better than other options, which means you won't have to worry about cold floors on your feet in the morning. Yet even once you've decided to go with cork, it can be tricky to pick out the right tiles for you. 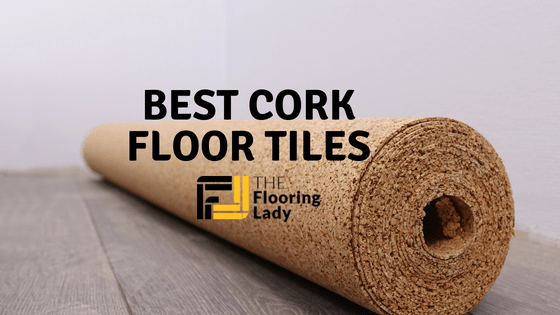 In order to help you, we're going to take a look into five popular cork flooring options that may be able to suit your needs. 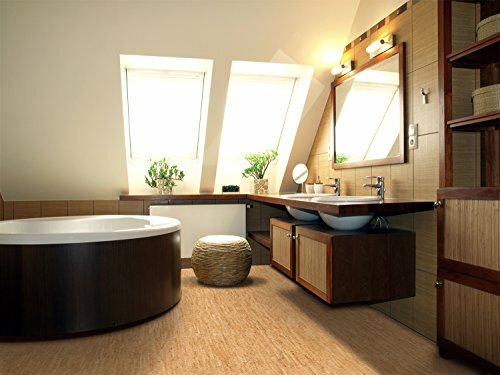 Why Choose Natural cork tile? What makes it so appealing to homeowners? For those who are looking for a relatively low-cost floor covering option, this is a great way to go. These floor mats are made to be easy to install and come in a variety of colors, so you'll be able to get regular cork or some that look more authentic. Packaging: Available in amounts from 16 sq. feet to 200 sq. feet. Unlike many other cork options, this flooring comes in a variety of coloring options including bamboo, white oak and mahogany so that you can get exactly the tone you want. Furthermore, the pieces are designed to fit together like a puzzle, making them very easy to place. For those who want a quick and easy floor covering option, this is the way to go. It's a solid choice for uneven flooring and those who want something easy and comfortable. You'll also get a lot of coloring choice options, so you can get just the look you want. Some customers have experiences bubbling with this flooring, so be careful to follow instructions and contact customer service if you experience any issues. In some cases, there may also be issues with the edges of the tiles sticking up and creating an uneven surface. 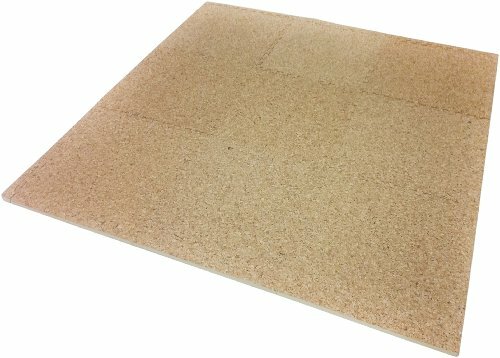 For those just looking for some plain cork tiles, this is the way to go. Each pack comes with 16 tiles that you can use for flooring, projects and more. 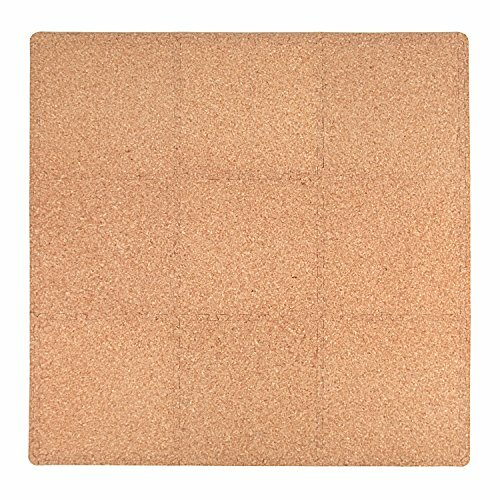 Keep things simple with this pack of cork tiles. You'll get 16 4mm tiles for each pack, which you can easily adjust to fit just about any space. Leftovers can also be used for other projects as well. 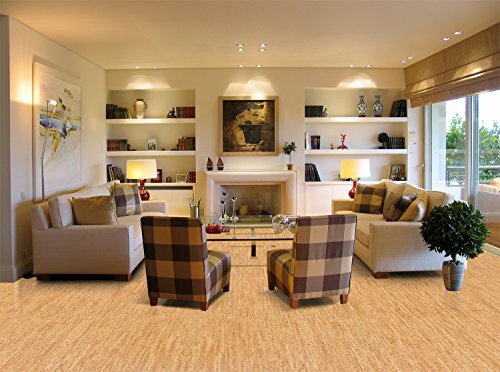 Many enjoy cork flooring and find it to be a sustainable option. 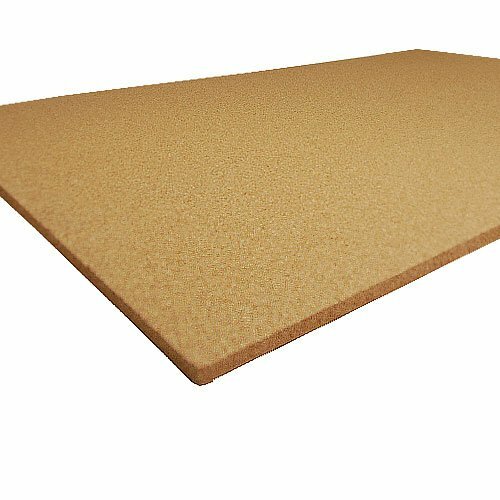 Cork is comfortable to walk on and is an easy to install option. 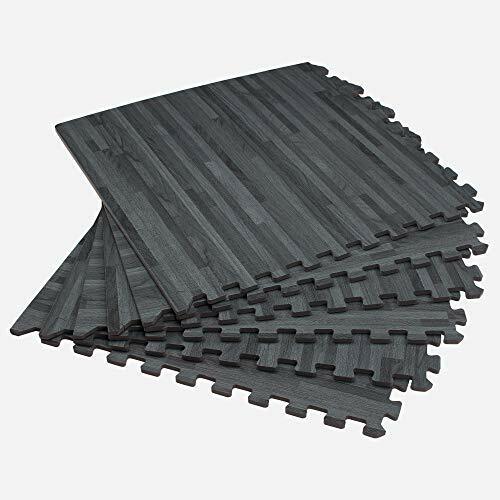 Each tile in this pack is also 300mm x 300mm, but it's a product that is easy to cut and adjust as needed when compared to other flooring types. 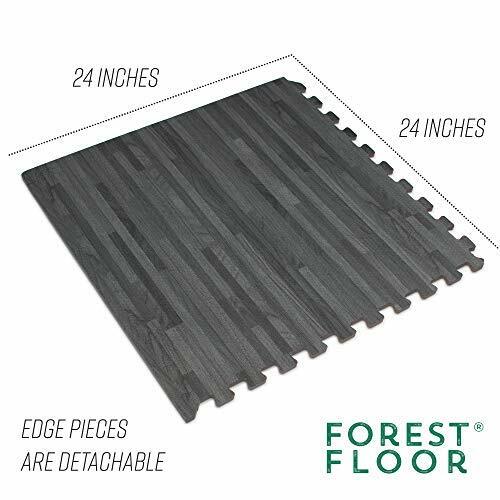 Though this is a great option, it is on the thin side which means it might not be as durable as other flooring options. Because of that, you may want to use an underlayment or some other layering to create a better surface. Another fantastic cork option is these Forna cork tiles. It's a fully renewable resource, and you'll be able to get about 21 square feet per package, making it a decently low-cost option. 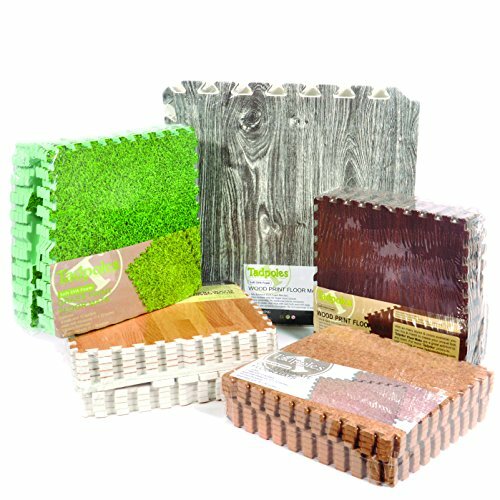 This flooring is easy to install with some glue, and presents an eco-friendly option that is also known to be highly comfortable. These tiles are 4mm thick, so they may be a little less durable than thicker options but are still decently sized, so you won't need to worry about them being too flimsy. This option holds warmth well and is comfortable to walk on. Cork as a flooring option keeps you from having to deal with cold floors in the morning. It's also a sustainable, budget-friendly option that you can rely on for many years. While cork is generally pretty easy to install, it can be more difficult than click-lock options because it requires glue. It is important to keep in mind that some cork options may dent or be damaged more easily than other flooring types out there. 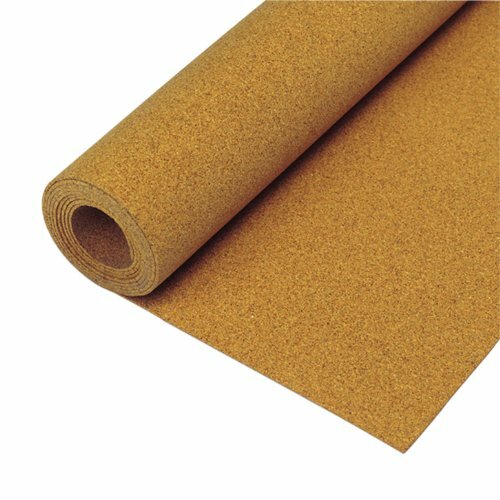 These cork sheets are made with their own adhesive, making them very easy to use. They might be slightly more expensive than other options, but they make up for that with the added adhesive. These tiles are a little thicker than other options, coming in at about 1/4” thick. They also have a very convenient adhesive back that allows you to simply peel off a layer of plastic and place the tile as needed. It's also made of a fine grain cork, which may present fewer coloring options. The addition of the adhesive is going to be very convenient and keep you from having to worry about buying glue. It's also a versatile product, so if you have leftovers you'll be able to use them for other projects easily. Due to that use of adhesive, you'll need to be more certain that you're placing the tile exactly where it needs to be. That's because it may be more difficult to adjust or remove without causing damage to the tile itself or needing to add more adhesive to get it to stick again. Underlayment is a great product to use to improve your flooring, whether it's due to the flooring being too thin or there being too much of a sound echo. It can be a little bit more of an expensive addition, but is often well worth it. Underlayment can help with a number of aspects. For example, if you have heated flooring and want it to be more efficient, using an underlayment can be a great way to go. It can also generally help with the comfort, look and sound echo in the area. This addition is made to be easy to install so you won't need to worry about calling in a professional unless you choose to. It can also really help with floors that tend to increase the echo in a room. The sound transmission can be much improved with the simple addition of some cork. While many customers have enjoyed this underlayment, there can sometimes be issues with delivery. For example, the tiles can arrive in a dented or otherwise damaged condition. You'll also need to be careful not to damage it by accident yourself. Natural Cork tile makes a great flooring material. It muffles sound, cushions your step, insulates against temperature extremes, and looks exotic. An advantage of these tiles over panels is that you can create floor patterns by interlacing different colored tiles. For example, a border around one color of tile with another creates room differentiating or the look of a throw rug. Not only is it a sustainable flooring material, but it also is easy on air quality because of not emitting gasses like man-made products often do. Natural Cork tile is becoming more and more popular in homes. This flooring has a great many benefits that other flooring options do not have and it offers a beautiful and visually appealing floor that you will enjoy having in your home. It has a look that is unusual and unique, which makes it quite appealing to homeowners. The look of cork is what first draws homeowners to it for their homes and offices. The unique whirls and swirls in the these tiles, as well as the speckles are what make this flooring unique and fun to look at. It comes in a wide variety of colors, including reds, browns, greens and blacks. This allows you to find the tile that works best for you and your particular decorating style. They go well with any decorating style, too, which makes them excellent for use in homes where the homeowner enjoys redecorating. The life of cork tile is also longer than other tiles used for flooring. Natural Cork tile has other benefits in addition to its look, too. It offers excellent sound reducing abilities, making it excellent for rooms like sound studios or teenager’s rooms. It is also wonderful for insulating rooms against the heat and cold. It can keep your feet warm during even the coldest winter months, and cool during hot summer months. It also has natural cushioning in it, which makes it great to walk on. The other benefits of these tiles includes the fact that it is anti-static, water resistant, and anti-allergenic. All of these benefits and more are what make this flooring choice an excellent one for any home. 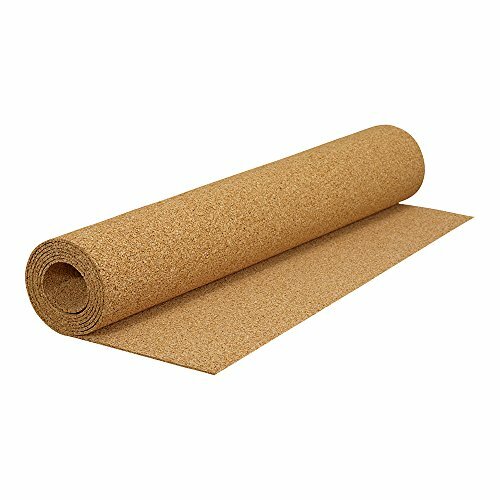 Another thing to consider when thinking about installing cork tile is that it is considered to be aflooring that is environmentally friendly. Cork is taken from the bark of the tree, which means that trees do not have to be cut down to be used. This harvesting of bark is done every nine years to allow the tree time replenish itself. Installing cork tile is normally done by having the tiles glued down to help make sure that it is firmly connected. The glue choice that is made at this stage is very important, because the wrong glue can keep the tiles from being firmly affixed to the subflooring, which will cause them to wear out more quickly and can be dangerous to walk on. A strong adhesive is necessary to help the tiles be as durable as possible. Unfortunately, most of the glues recommended by flooring outlets or manufacturers is noxious. There are glues that are low in VOCs (volatile organic compounds) and are better for indoor air quality. 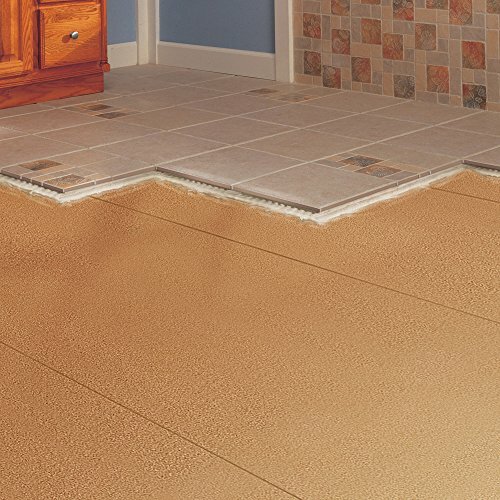 Installing cork tile can be success only if the surface beneath is flat and smooth. 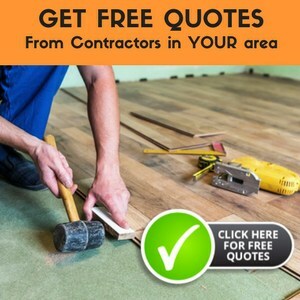 You can’t install it over a vinyl or plank flooring, hence you need to have a plywood surface of about 1/4 inch think over any existing flooring. It can be installed on top of concrete flooring as well. If you already have a few layers of old flooring, tear out the old layers and install new underlayment on the subfloor. Cut your underlayment plywood and screw it to the old subfloor or existing floor. Do not substitute particleboard or fiberboard for plywood; they absorb moisture and crumble too easily. The plywood you use should be graded as underlayment plywood. Most natural cork tile for floors is pre-finished, often with something like an aluminum oxide that’s been UV cured. I have a friend who bought these tiles as unfinished and finished it in his place. After seeing how some pre-finished floors wear, I highly recommend having the floors finished in place to give you the best wear possible. 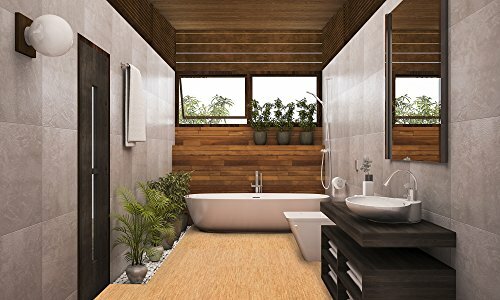 If you have been looking for a unique way to cover your floors, then you will definitely want to consider selecting cork tile forall your flooring needs. Their unique colors and shading, as well as the other benefits, makes them an excellent choice for any room in your home. You’ll be amazed at how comfortable they make your home and floors. And these tiles are not just for bulletin boards anymore. As far as this list is concerned, the most convenient option is going to be the Felt Store Cork Sheet. This is largely due to the ease with which the tiles can be used. With their own adhesive, they'll be easy to place and use as needed. They offer the warmth and softness of cork with some extra ease of use. If that isn't the ideal option for you, then any of the other options on this list can also be solid choices. They each have plenty of benefits to offer that are sustainable, low cost, and aesthetically pleasing.